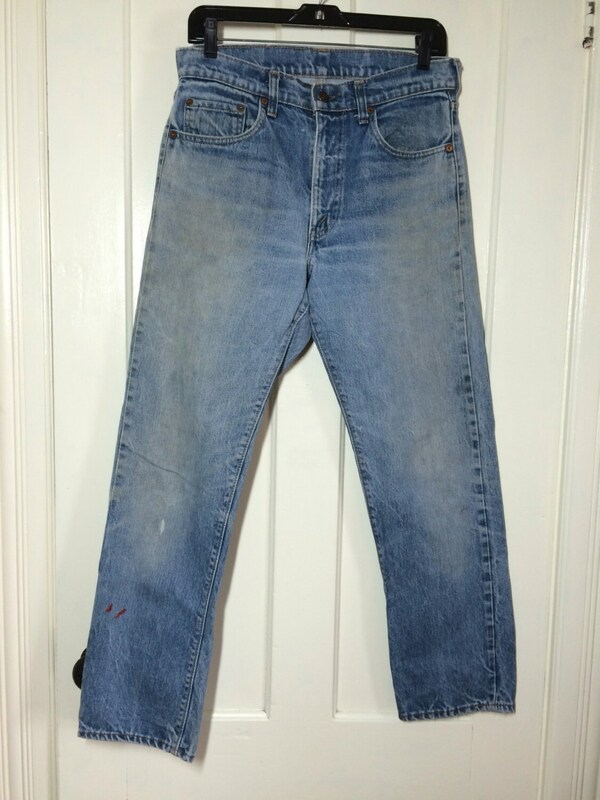 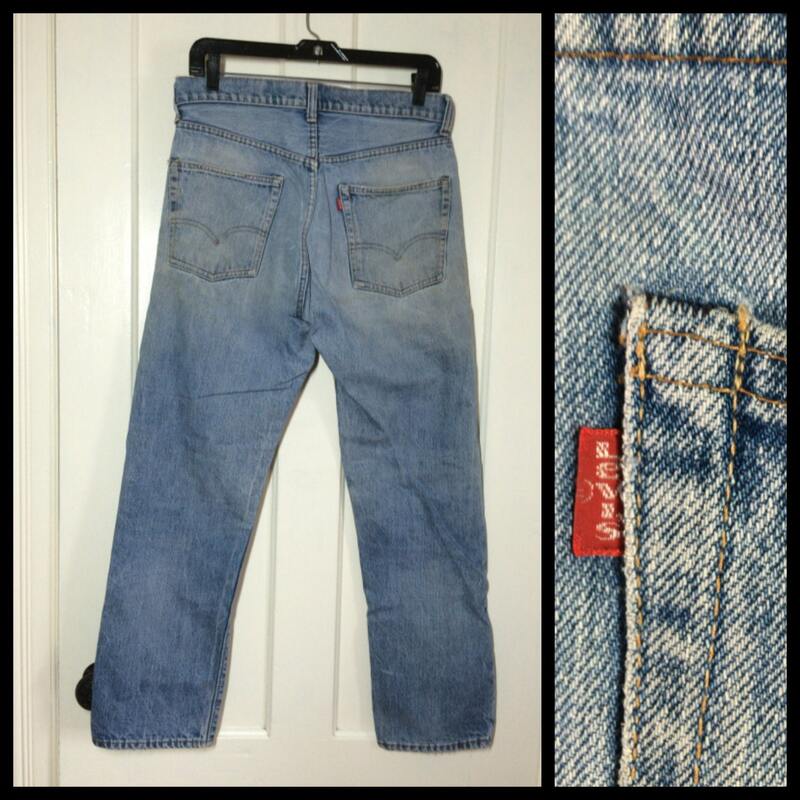 Here's a pair of Levi's 505 straight leg jeans from the 1970's. 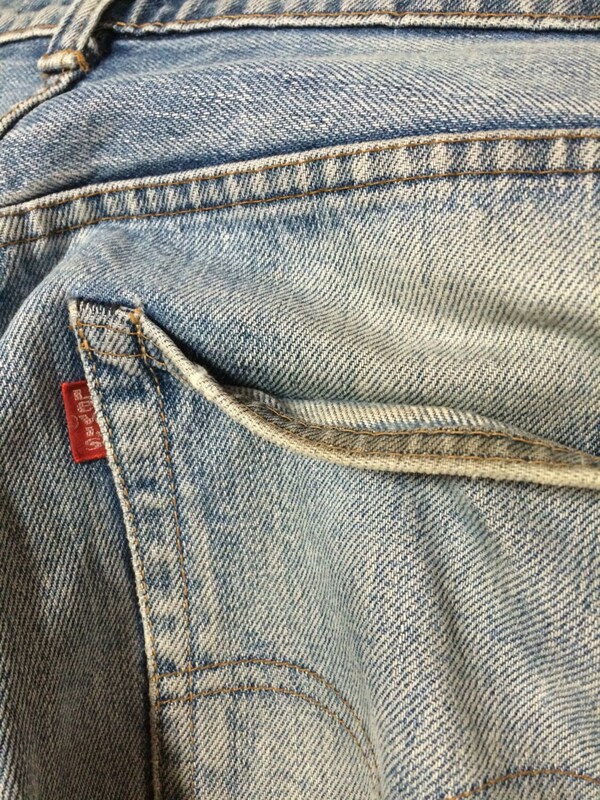 They're 100% Cotton, single stitch, have a Talon zipper and made in the USA. 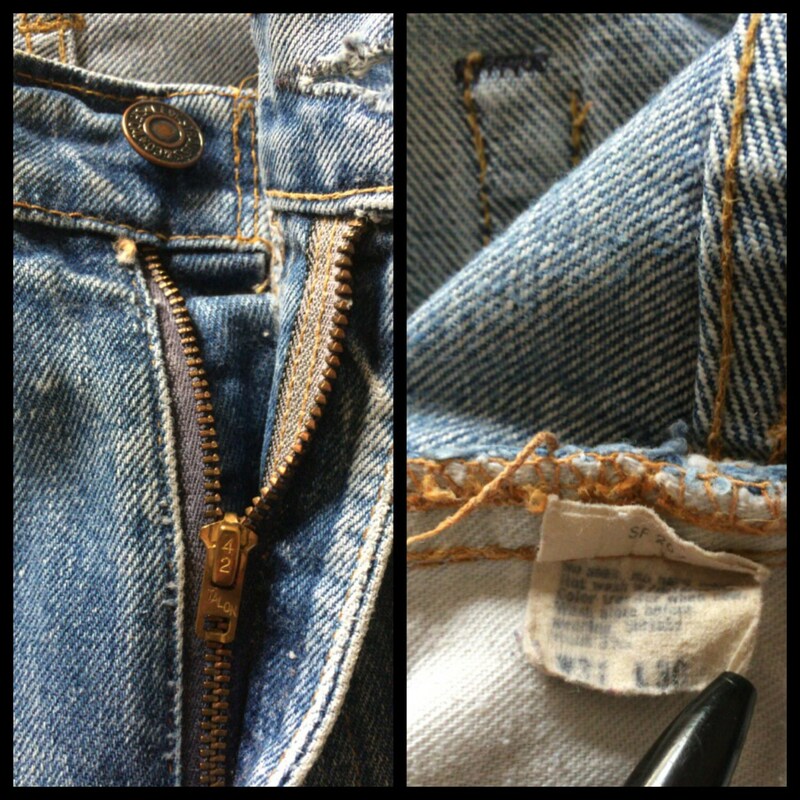 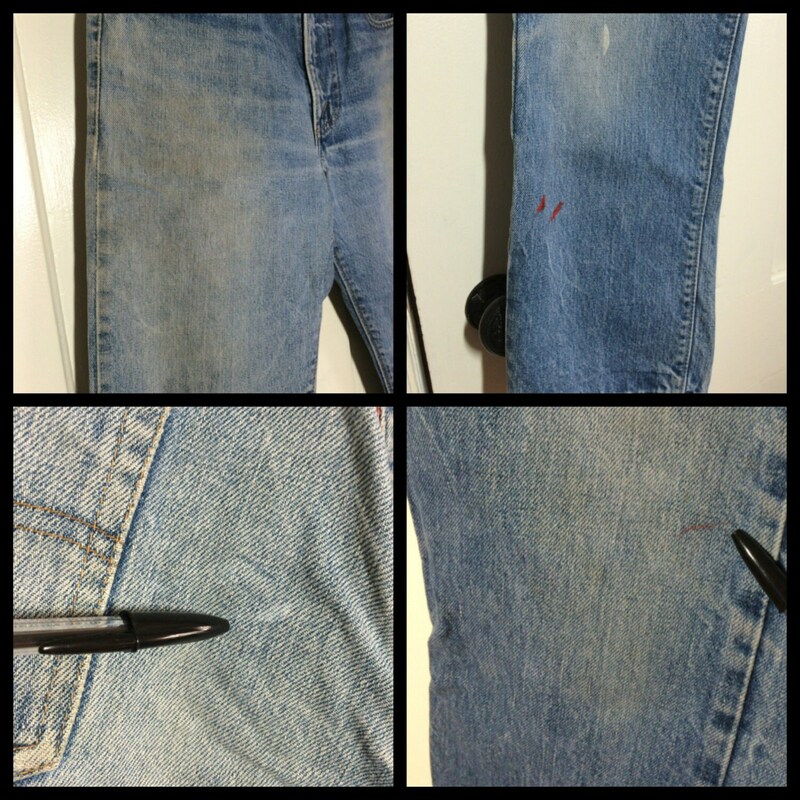 There's paint, light spots and dirt from years of work wear, They're in excellent, distressed condition.